An interesting poll conducted by the South Korean Chosun Ilbo and the Center for Cultural Unification Studies was released on Thursday. The poll found that an overwhelming majority of the North Koreans it interviewed were in favor of unification. This is not an entirely shocking result in and of itself, as B.R. 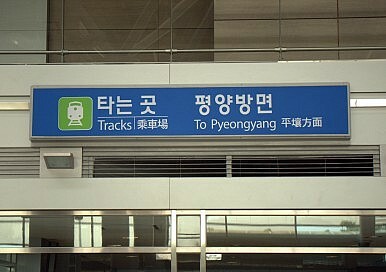 Myers shows in his book The Cleanest Race that many North Koreans believe government news and propaganda that defines unification as the South joining the North under the leadership of the ruling Kim family. But while the sample group in this latest survey is quite small, their reasons for how and why reunification could and should happen are instructive, as those polled have only recently left North Korea. The poll found that of the 100 people it interviewed, 95 percent were in favor of unification and 97 percent believed it would have a positive effect on their lives. Ninety-five percent also said that reunification was “very necessary,” with 48 percent citing economic development as the main reason. The poll also found that 34 wanted a free market economy for a unified Korea. What is perhaps more interesting is who the people polled are. The two organizations polled North Koreas living in China in Yanji and Dandong, just across the border from North Korea, the majority of them moving there in either 2013 or 2014. These people would have knowledge of North Korea’s current social and economic situation, and their opinions could be expected to reflect recent popular sentiment. The survey also found that 70 to 90 percent of North Koreans “make ends meet by buying and selling goods in the grey or black market now that the state rationing system has effectively been wiped out.” With poor harvests and possible famine being reported again this summer in large parts of North Korea, this poll offers insight into the current situation Pyongyang’s ruling elite faces. The people polled represent two interesting possibilities as well: They are either people who have been deemed politically trustworthy by the state to live in China, and would thus perhaps be closer to the government with a clearer picture of the regime’s stability, or they are illicitly living and trading along the porous Sino-North Korean border and are thus more easily able to communicate information about the living standards of normal citizens. Their economic rather than nationalist reasons for reunification would belie the government mantra that reunification is popular because North Koreans want to rehabilitate their morally corrupt southern brethren.